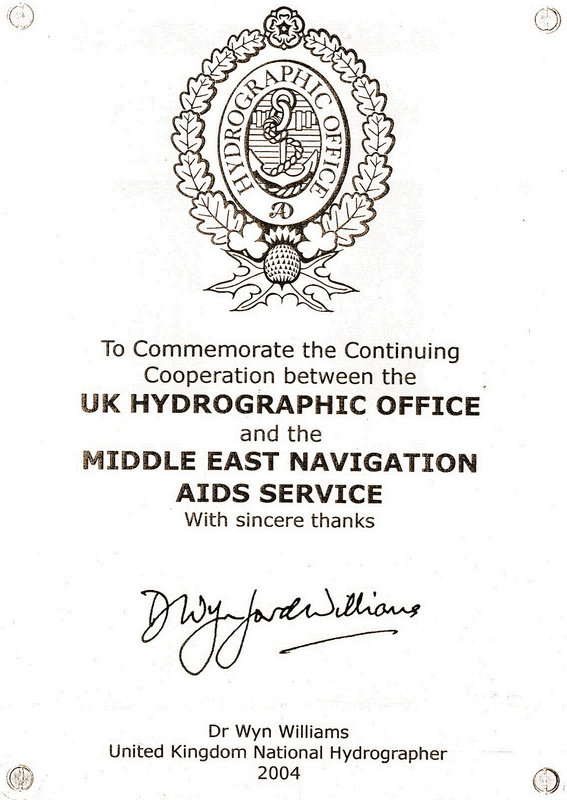 MENAS has maintained all Aids to Navigation in the international waters of the Middle East Gulf, together with the approaches (Light Buoys) to the main GCC ports for over 60 years. In Bahrain, it has serviced Bahrain's outer and inner channels including local AtoNs for the Ports & Maritime Affairs (PMA-MTT), for 40 years and services Al Jeer; Maritime City; Al Jazeera and Saqr Ports in the UAE. MENAS has conducted numerous maintenance contracts across the Arabian Gulf for entities such as Saudi Aramco (Juay’mah & Ras Tanura Channels); Fujairah Port; Sharjah, Hamriyah, Khor Fakkan and Borouge Ports, UAE; Messaied Port in Qatar and maintains all Aids to Navigation in Oman. MENAS fabricates and installs Aids to Navigation equipment for a number of ports across the GCC such as the Mesaieed and Ras Laffan Channels, Qatar; Borouge, ports in Kuwait and Saqr Ports, UAE together with ports in Bahrain. MENAS has also conducted various audit and survey projects covering all international Navigation Aids in the Gulf; local channels in Kuwait and all AtoNs along Oman’s 1200 kilometre coast, from Khasab to Salalah. At the request of Abu Dhabi Ports Authority, MENAS conducted a comprehensive survey of 1100 stations located in Abu Dhabi waters and has completed various AtoN surveys in Bahrain waters for corporates such as GPIC, Bapco, Ports & Maritime Affairs and Bahrain Fisheries. MENAS conducts individual AtoN risk assessments for each area of activity undertaken. MENAS AtoNs are grouped into 19 zones, determined through usage factors such as whether they provide mariners guidance in a specific area or whether they mark an isolated or specific danger. MENAS’ NAVPLAN covers the factors used to determine the risk to persons, facilities ashore and the coastal environment; shipping, seafarers and the marine environment. For each zone, a Level of Service statement (LOS) for the type of appropriate AtoN has been developed together with an Operational Performance Statement (OPS) which defines the maximum operational capability of an AtoN within that zone. The combination of LOS for type and Operational Performance statements provide a commitment by MENAS to all mariners navigating in each zone.